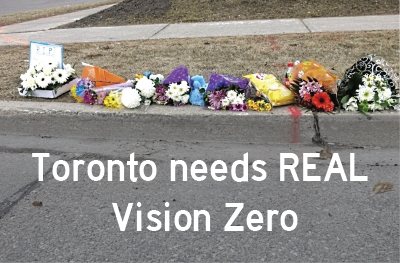 Here are some messages advocating for traffic safety and active transit, including stickers and magnets in bumper, bike, bin and helmet sizes. Donate $30 or more and I’ll mail you a weather-resistant sticker for every $10 given. Tiny stickers A4 and A5 are two for $10. They look less dark (more “green bin” coloured) in real life than in these numbered photos, which will at least help you indicate your choice. Free shipping in Canada. Please add $5 for international orders. 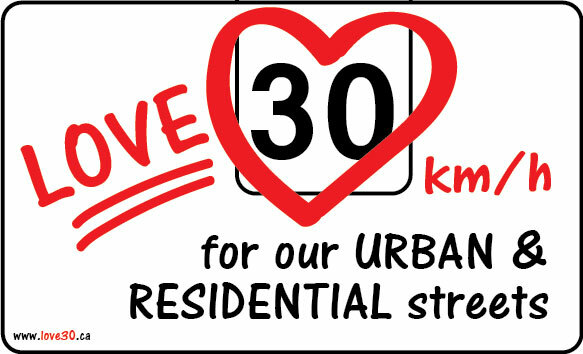 You can also purchase safe speed stickers by supporting our sister site, Love 30 Canada. You can purchase more any time (and bump your sponsor status) for a minimum $20 order. $10 extra per order will get you any & all stickers in magnet form. When you donate via Paypal I will contact you to confirm receipt and inquire about all of your preferences, including sponsor page recognition and sticker / magnet choice. Become the first sponsor from your region & get 2 EXTRA stickers! (7 cm stickers are two for $10). (6 cm stickers are two for every $10 donation). 7.5 cm (3 in) wide weatherproof vinyl sticker for Ontario, Nova Scotia and Quebec. Stumbled on this image of VZC stickers in the local newspaper. I handed out a few at a September #ottbike rally. German Vision Zero principles. Click for link to full Executive Summary.